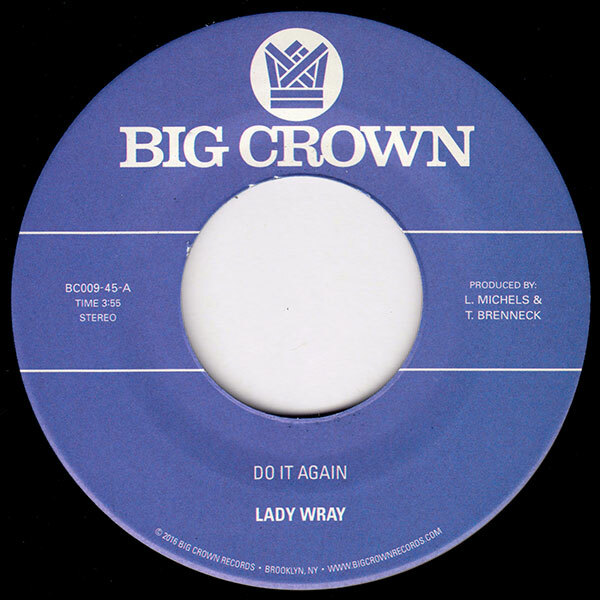 Big Crown Records is proud to present Do It Again the first single from Lady Wray’s new album Queen Alone. The 45 and upcoming album is produced by Leon Michels and Thomas Brenneck. Do It Again is a tune addressing the complexities of love. On one hand it’s the story of a failed relationship, on the other hand it’s the story of a revered intimacy. Ultimately finding Nicole willing to get back into it regardless of the consequences. The classic, drum heavy production, paired with Nicole Wray’s powerhouse vocals will surely have sweet soul enthusiasts and beat makers stockpiling copies for years to come.